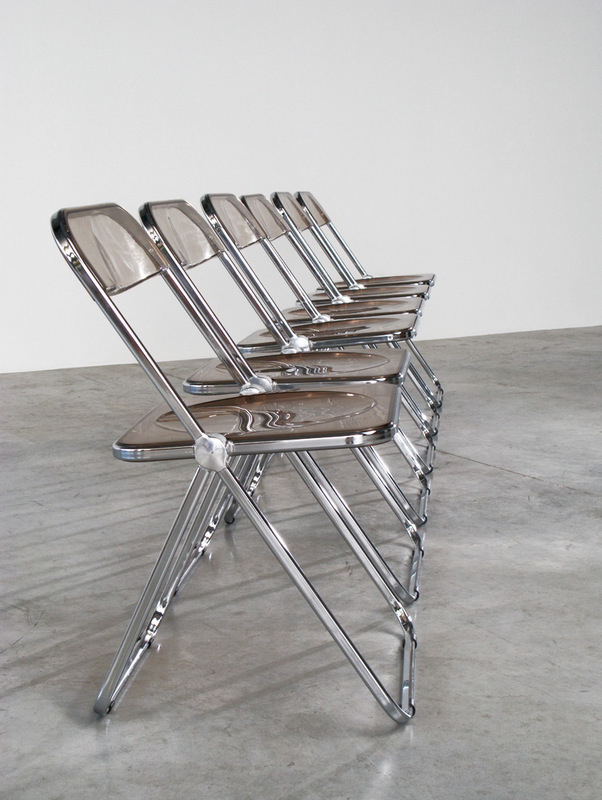 Set of 6 Plia folding chairs designed by Giancarlo Piretti for Castelli in 1967. Folding chairs in polished aluminum with smoked acrylic seating and backrest. All signed with "Plia Castelli Italy". 6 chaises pliantes modèle Plia conçu par Giancarlo Piretti pour Castelli en 1967. Chaises en aluminium poli avec des assise et dossier en Plexiglas fumé. Tous signe avec "Plia Castelli Italy".